Encouraging your cat to drink more is important for your cat’s health as it helps ensure proper kidney function and helps prevent crystal formation that can lead to urinary tract diseases. 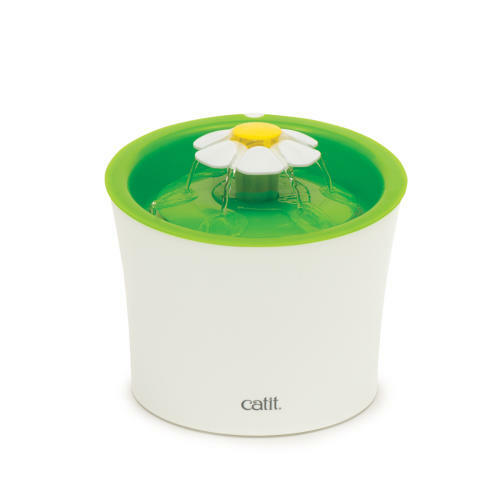 The Catit Flower Fountain for Cats & Small Dogs is a fun way for your pet to get the daily fluid intake they need to keep them in tip-top shape. Unlike bowls, the Catit Flower Fountain pushes only filtered, running water to the surface. This prevents your cat from having access to dirty water. What's more, it only costs 2p per day to run. 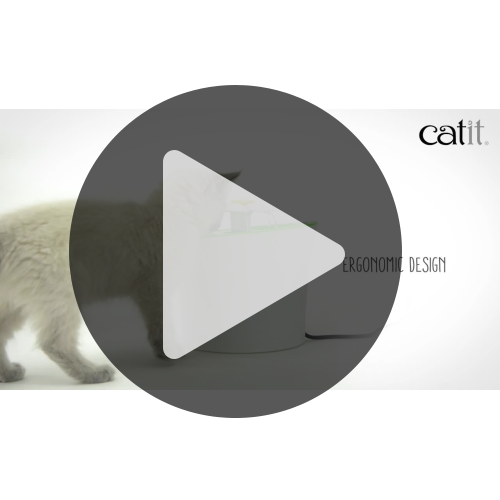 The Catit Triple Action filter removes magnesium and calcium from tap water These minerals can accumulate in your pet’s lower urinary tract and lead to urinary tract diseases, which is a common health issue for cats. Additionally, this high performance filter removes chlorine odours and bacteria, and retains stray hairs, sediment and debris. Helps reduce the risk of urinary tract infections by softening tap water; filters out hair sediment & debris and removes bacteria and chlorine odours for better tasting water.